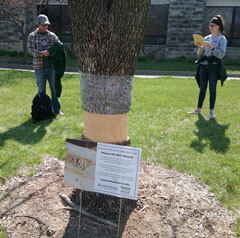 K-State has been working hard to prepare for the possibility of Emerald Ash Borer. What is this funny looking tree all about? 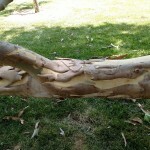 You can read this article about What’s going on with the two ash trees? for the full story. Pruning storm-damaged trees. Was your area hit this week? Many areas of western Kansas suffered tree damage from the winter storm. 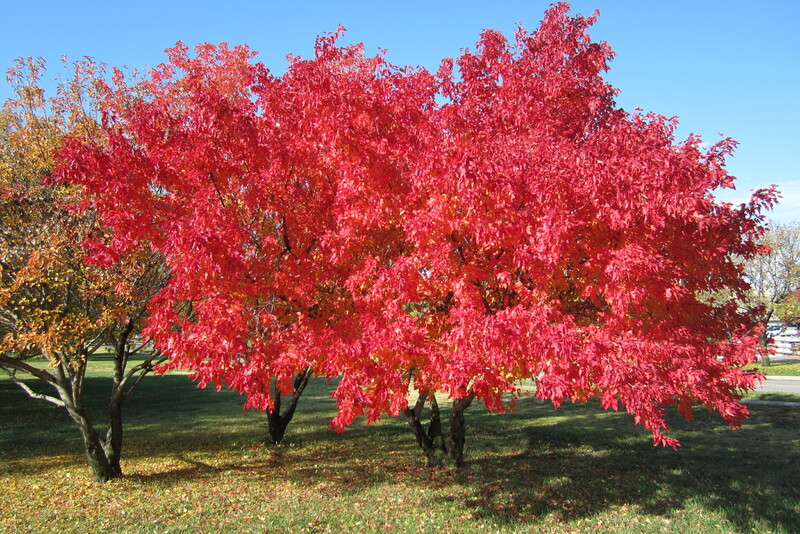 There is an article in our January 17 Hort Newsletter on how to prune damaged trees. See http://hnr.k-state.edu/extension/info-center/newsletters/2017/January_17_2017_3.pdf . 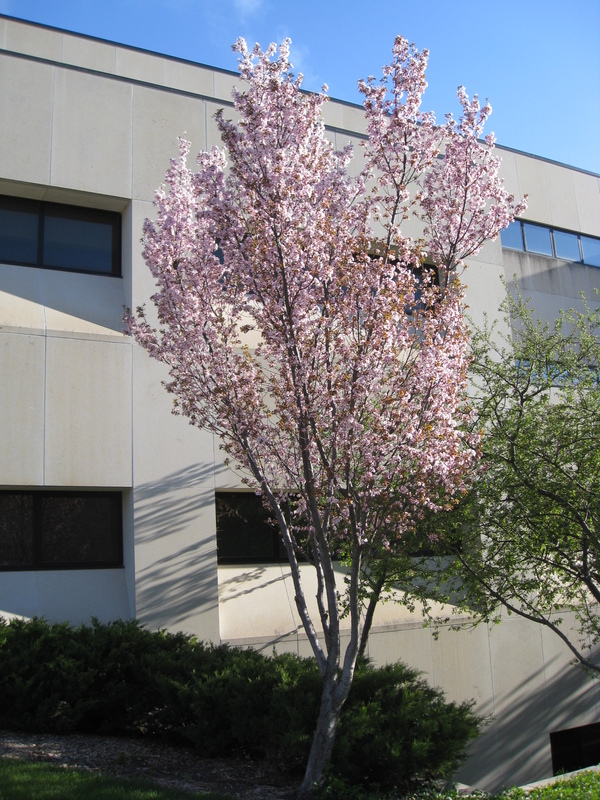 This post’s info and photos are by Beth McKinzie, our diagnostic lab intern for the summer. Judy O’Mara, our lab director, is mentoring Beth. 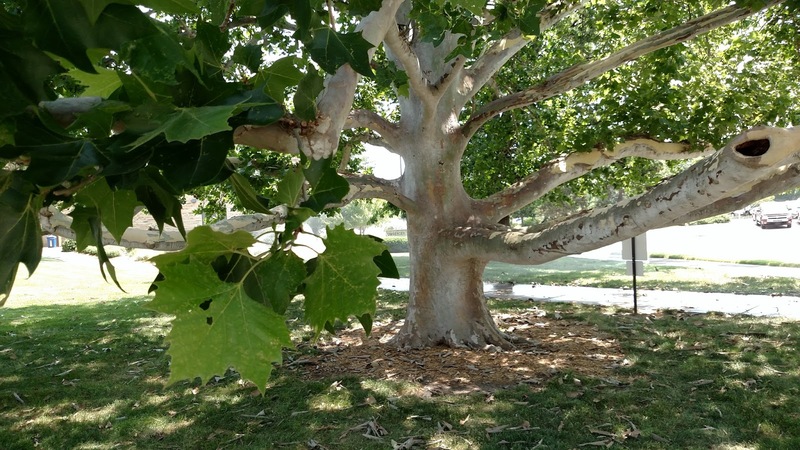 The London planetree, Platanus x acrerifolia sheds its bark mid-summer in Kansas. This is a normal phase for the London planetree. 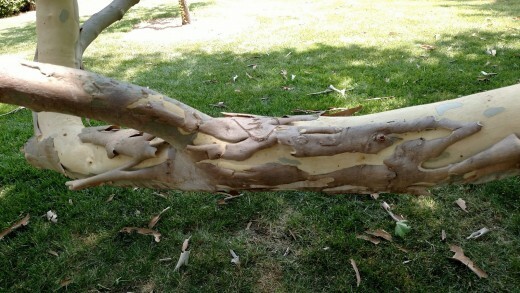 A similar pattern can be observed with Sycamore trees, Platanus occidentalis which shed their bark, but not as extensively as seen on the London planetree. Both are in the same family, Platanus. 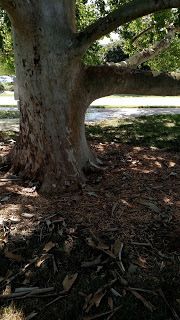 There are many theories to why these trees shed there bark, which you can read about here (https://www.nycgovparks.org/news/daily-plant?id=19242). As this is a normal for these trees no management would be recommended. 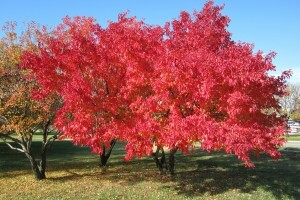 How much is that tree worth? 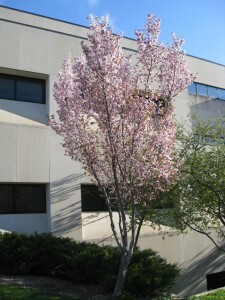 Determining the value of a tree is complicated, but not impossible.